The quality of your data feed is the foundation for any successful PPC-campaign. 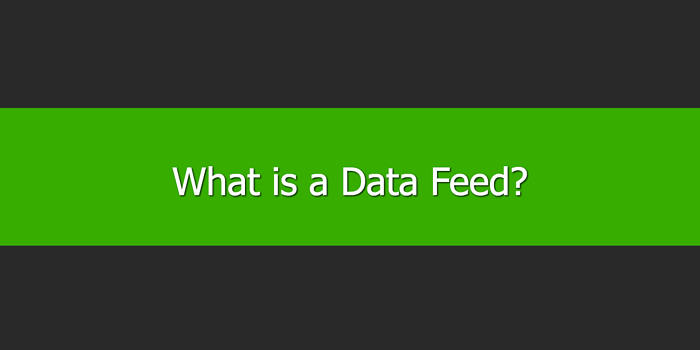 A data feed is a way of sending structured, current, and up-to-date information. Usually for use on a website, app, or another online tool. Two common types of data feeds are news feeds and product data feeds. We will focus on product data feeds. A product data feed makes it quick and easy to load information about thousands of products to a website. If you’re a publisher, this means you can receive a product data feed from a merchant to display on your website. If you’re a merchant, manufacturer, or supplier, you can make your data feed available to publishers to help you attract customers. Examples of publishers include price comparison and shopping websites like Google Shopping, Amazon, or Pricegrabber. One of the crucial aspects of a data feed is the structured nature of the information. This can look confusing, but the structured fields make it easy for algorithms and programs to understand and use the data. Each item in a data feed (a product or record) will have many pre-set attributes. These both define the product and make it unique from other items in the feed. Attributes can have standard values, such as being in stock or not in stock. They can also have open values, such as the title or description of a product. A product listing in a data feed can also contain links to images. Shopping websites and other destinations use this for displaying information about your product. While there are common standards, each channel can also have its own feed specifications. This helps the channel ensure they accurately identify products. Also, they ensure they deliver the best possible user experience. A shopping website’s feed specification ensures all products of the same type are connected. Thus, it can present a usable comparison to its users. Feed specifications also ensure users get accurate information. It helps the channel to only display products that are in stock, rather than something the merchant offers but doesn’t have in stock. In addition to varying feed specifications, there are several feed formats that channels accept. These include CSV, plain text (txt), and XML. Plain text files are the simplest to produce as they require no technical skills. But, not all feed recipients accept plain text feeds. One major example of a channel that does is Google Shopping. Services like DataFeedWatch make it easy to manage feeds for many channels. Thus, ensuring you meet requirements and enabling you to optimize your data feed. Another factor when considering data feeds is how often to update them. This usually depends on how often the information in the feed changes. The chosen frequency is set to ensure the feed is as fresh and accurate as possible. This could be once a week, once or many times a day. Why Are Data Feeds Important? The main purpose of a data feed is to help consumers find products they want to buy. It is important to have an accurate data feed that adheres to the channel's specifications. If you don't, shopping websites and search engines may not be able to link your product to a user's search. A well-managed data feed will result in more people seeing your products. This gives you the opportunity to increase sales and generate more traffic to your website.